Mark Winterbottom says Shane van Gisbergen “needs to have a look at himself” after the pair came together on the opening lap of Sunday ARMOR ALL Qualifying at Winton. The two cars made contact at Turn 5 on their outlaps, the left-front of the Ford hitting the right-rear of the Holden as Winterbottom attempted to sweep around the outside. It fired Winterbottom across the infield grass and sent both back to the pits with punctures. 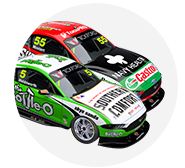 Van Gisbergen went on to qualify seventh – jumping from 22nd with his final lap – while Winterbottom managed just 18th. “He’s a bit of a fool, really,” said Winterbottom of van Gisbergen. “Every outlap… if he wants to go slow, he can go slow, but every time you try and go past him he tries to run you off the road and block you. “I went around him and he’s swerved into me and hit he front wheel. He does it all the time. It’s frustrating. “I got bent steering and now the car’s slow. If you wants to go slow, stay on line. He can’t keep weaving into you, you know? “We’re all sick of it. It’s not just me, it’s quite a few of us. We’ll deal with it. We’ll sort it out I’m sure. 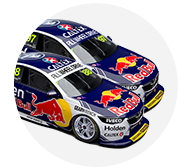 A fired up Red Bull Holden Racing Team manager Mark Dutton said during the session he felt Winterbottom should be disqualified for his actions. 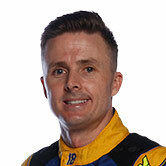 “Everyone was going out and Winterbottom drilled the car. I don’t know why they’re letting him do qualifying, he should be excluded,” he said bluntly. Speaking post-session, van Gisbergen was rather more circumspect, but is confident he was not at fault. 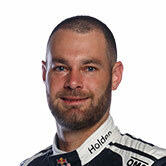 “I need to see the replay to know, but from my seat, what I was doing was just holding the line, riding the brake, warming the brakes,” said van Gisbergen. “Jack [Le Brocq] went around the outside, plenty of room, and next thing he [Winterbottom] has just run up the back of me. “Whether it was my fault, I’m not sure, but I’m 97 percent sure it was not my fault, I was just doing what I was doing.